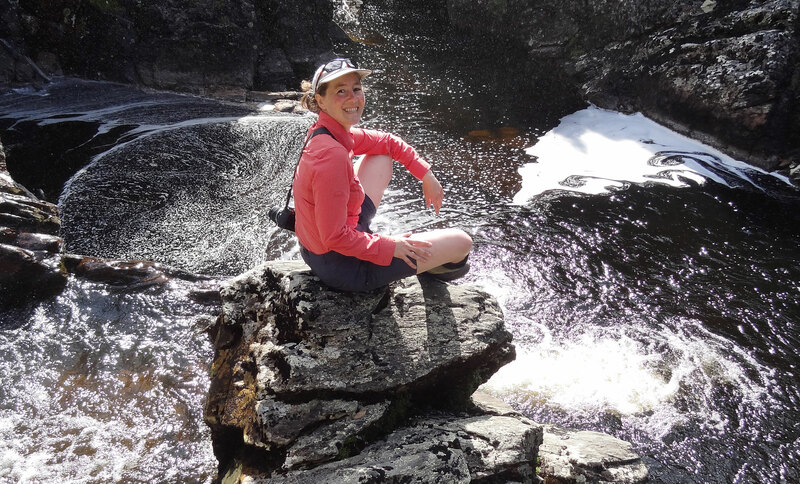 "After working in environmental management for a number of years, I wanted to increase my knowledge of the systems regulating land use and of the factors influencing our built and natural environments." Planning improves our regions and urban areas by integrating the social, ecological and economic within decision-making. The Master of Planning course equips you with knowledge and practical skills to plan for sustainable futures. If you're looking to progress to the next stage in your career, or you want contribute to tackling local, regional and global challenges, this accredited course will take you there. Our home state of Tasmania provides a unique learning environment. Urban areas, agricultural landscapes, extensive tracts of natural lands, and internationally significant cultural heritage are in close proximity and all easily accessible, providing opportunities for globally relevant case studies. High student/teacher ratios maximise your opportunities for academic interaction and support, and you will benefit from the expertise of our staff and our close ties with the planning profession. The Master of Planning is professionally accredited by the Planning Institute of Australia. Develop capacity to take responsibility and accountability for their own learning and practice, in collaboration with others. Be prepared for professional working careers, and in the case of the research thesis, higher degrees by research. The course also addresses a set of competency outcomes specified by the accrediting body (Planning Institute of Australia). 9. develop capacity to take responsibility and accountability for their own learning and practice, in collaboration with others. 5. be prepared for professional working careers, and in the case of the research thesis, higher degrees by research. This course is specifically designed to prepare you for your career as a planner. As part of everyday teaching, you will receive direct engagement with planning and allied professionals to prepare you for the daily interactions experienced by career planners. You will undertake a semester long industry placement that provides opportunities to incorporate the knowledge gained in the course into planning practice. You will also collaborate in-class and via distance to gain a breadth of knowledge. Self-directed activities enable you to develop your personal interests. "The social interaction for this course is fantastic. There is plenty of time for one-on-one with students and lecturers." Rick Perrin - Master of Planning graduate and recipient of the Mike Shield prize for best planning student 2016. Whether it is making design recommendations for your local urban area, addressing a regional problem through case analysis, or preparing a strategic plan for a community of your choice, you will develop practical skills under the guidance of experts. The course includes KGA513 Professional Practice. In this unit students negotiate placement in a government or private sector organisation which is approved by the University. There they work on one or more practical tasks under the supervision of a suitably qualified professional. Understanding of environmental planning and/or management including organisational structure and functions, the role and responsibilities of planners and/or managers, and basic administrative processes are developed. Students are encouraged to make contacts within the profession and among stakeholders. Generic issues concerning workplace values, ethics and professional practice are discussed. Assessment draws on students' engagement with the scholarly literature, their documented preparations, outputs and critical reflection throughout the placement. This unit is also part of the current planning courses S6L and S7U. Something I really appreciate about this course is just how well connected these subjects are with planning professionals. You get great access to the industry, and the depth of knowledge and the complexity of issues that these people are dealing with takes the course beyond the textbook. As a professional planner, you will be in demand by local and state governments, planning consultancies and community organisations in Australia and around the world. Planners are professionals who work closely with engineers, architects and environmental consultants, providing multi-disciplinary expertise to ensure projects are appropriately investigated and strategically developed. This course is professionally accredited by the Planning Institute of Australia and offers outstanding career opportunities. 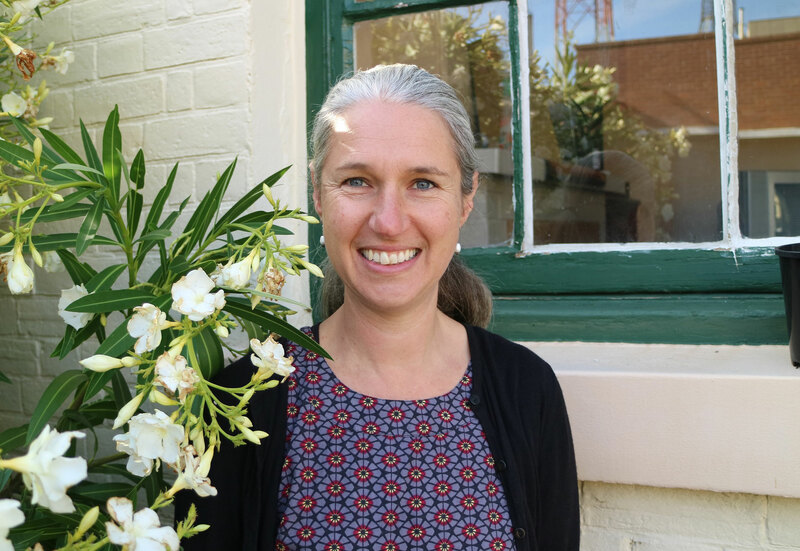 "I entered the planning course with no local government or industry experience, having done my undergraduate studies in History, Politics and Philosophy, and at the time working at the Tasmanian Museum and Art Gallery. As a result of the work placement I experienced during this course, I am now employed as a full time planning officer." The Master of Planning course is professionally accredited by the Planning Institute of Australia. Completing the course provides formal recognition of foundational and entry level skills, knowledge and theory, allowing graduates to work as planners in the field of urban and regional planning. Candidates can apply to the Course Coordinator to replace KGA514 with 25% of Schedule B unit(s). Candidates with prior professional planning experience can apply to the Course Coordinator to replace KGA513 with 25% of Schedule B unit(s). This option cannot be used in conjunction with replacing KGA514 with 25% of Schedule B unit(s). For admission to this course, you must hold a Bachelor Degree in any discipline at the University of Tasmania, or hold a degree or other tertiary qualifications that is deemed by the Faculty of Science, Engineering and Technology to be equivalent for this purpose. International applicants who are nationals of and currently residing in a country where English is NOT the official language, will also need to provide evidence of an IELTS or TOEFL test. The Master of Planning requires an IELTS (Academic) of 6.5 with no individual band less than 6.0. For more information, visit the International future students’ website. Students completing the Graduate Diploma of Environmental Planning are eligible for entry into the Master of Planning. Students completing the Master of Planning, which includes a 50% thesis component, will be eligible for entry into a higher degree research program. Each year, the University offers more than 900 awards to students from all background, including those who have achieved high academic results, those from low socio-economic backgrounds, students with sporting ability, students undertaking overseas study, and students with a disability.